IPdisplays’ LED displays, aka wallboards or reader boards, are not the same industrial LED displays that you’ve seen in the past. 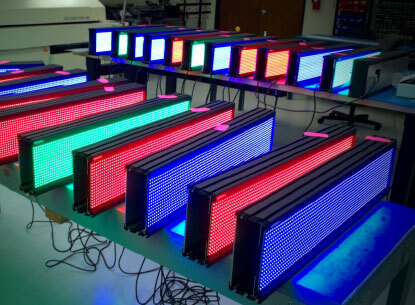 IPdisplays’ intelligent LED signs can pull or push data from a variety of sources. This built-in network connectivity provides immediate, real-time information to employees about productivity or performance. Our indoor LEDs are brighter and clearer. Outdoor LEDs convey information in ambient environments. Our API is your road to controlling or distributing info to your sign. 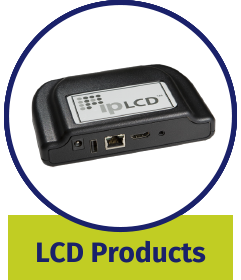 Our newest product allows for close viewing of LCD displays. Our display products are data driven not proprietary message or protocol based. That is our difference – empowering the speed of IP. protocols to learn or program. Sign configuration is done through Internet Explorer. You can define layouts, messages, thresholds and logic. Switch between single-line and multi-line use. Can also utilize graphics. Split the display into multiple cells. We can change the color of your data dynamically as it updates, automatically. Set it once and you’re done. Looking for a solution to help save time and money? Use our ultimately efficient display solutions to bring a new level of efficiency to your business. 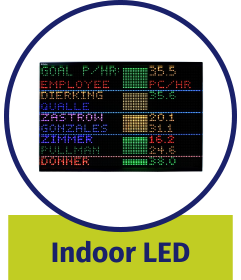 IPdisplays’ signs can receive up to the second data about parking garage space availability. Improve efficiency by displaying the time, number of spaces available, and by-the-hour pricing data. For lean manufacturing, it is used as a tool to focus resources and energies on producing the value differential. In companies that are truly lean, they have a focus on continuous improvement. 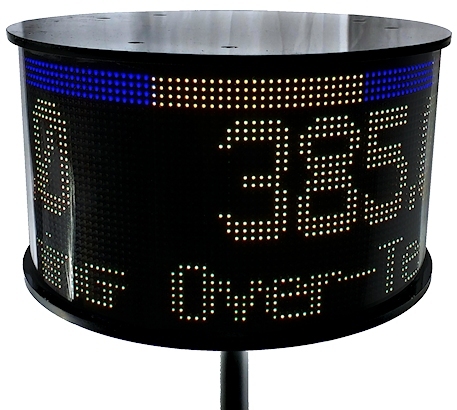 LED displays allow you to display order information, data, and statistics. Track conveyor use and product flow. In short, disseminate important information directly to the people who need it the most – the workers on your warehouse floor. Display vital machine information, data, statistics, and disseminate that information directly to the people who need to see it the most: the workers on your production floor. IPdisplays’ intelligent displays can process your raw data using onboard thresholds and soft business logic so your employees get the information in a visual that is easy to understand and act upon in order to best meet your production goals. 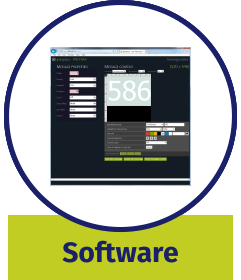 IPdisplays solutions improve upon the traditional “Middleware” approach by eliminating the need for costly servers and IT expenses. Each piece of hardware can be configured to replace the functionality the traditional call center “real-time” server. This dramatically reduces the operating expense and total cost of ownership of our solutions. Good employee communication is critical for efficiency and productivity. Our LED displays help you provide better customer service and keep employees abreast of organizational changes. Our signs also help improve morale by recognizing special achievements and special events. 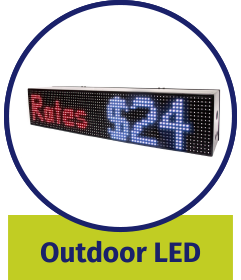 LEDs aid in the display of vital transportation info such as arrival times, directions, and other important data. Our systems help keep the transportation world organized and on time. We help you concentrate on what you do best: production, logistics, service... Let us help you make it more efficient, faster. to use for your business.